With an ever-changing technological landscape there are constantly new dangers as well as new opportunities that arise for users of the internet. This means that while there are hackers out there and other security risks that lead to identity theft, there are just as many tools out there that will protect you when you just want to take advantage of the information age. 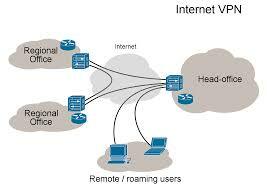 A Virtual Private Network is one of the best of these tools. Originally developed for business use, the technology has been adapted so that people can get the same benefits and security going outside of their home as workers had working outside of the workplace. 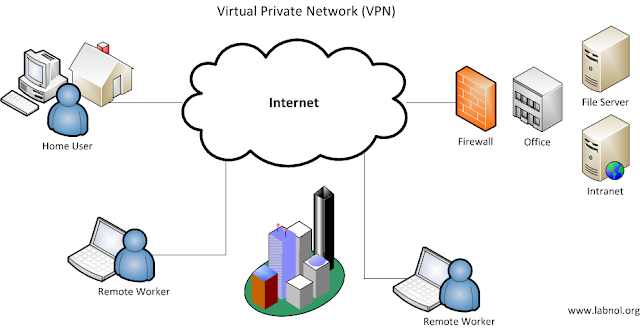 A VPN works primarily through a connection to an outside server. Most VPNs these days have the connecting computer establish the VPN connection with the (secure) server, whether it is a hired one (used for individual consumers) or a corporate one (for business use). The secure server then accesses the internet for the connecting computer so the connecting computer isn’t exposed to risk. Data is then uploaded or download as necessary. All of this is done over an encrypted “tunnel” of sorts that is impenetrable by outside users. Depending on the type of VPN you use, you will either be invisible to outside intruders, with the VPN disengaging and rerouting the second it detects outside interference, or you will only be seen as using a VPN. Everything that goes in and out of the tunnel will be known by only you. This is of course a simplified explanation, and the computer science is interesting and can get complex at times. This being said, you don’t need a depth of knowledge to use one and they are very easy to set up. How Do They Help My Online Security? In addition to what is mentioned above, which means that no matter where you are using the internet you manage to keep your privacy, a VPN will also keep out government watchers as well, and make it extremely difficult, if not impossible, to track what you are doing online. This privacy is directly related to your level of security, because if you use a dangerous public network, then you would normally be at risk for data collection by anyone who has some relatively simple equipment and programs (you wouldn’t be able to notice a hacker with if you wanted to). This data collection can include financial information, passwords, and usernames, which means that the privacy of this information is incredibly important to you. What Else Can I Use Them for? Despite primarily being a tool used for security, A VPN can have several other uses in addition to the primary purpose of security. One that most people would say is the allowing of users to get around regionallocks and regional restrictions placed on certain online services. A VPN by its design can make a user look like they are surfing the web in another country or region and thus it appears to the website that everything is normal. This makes a VPN great if not essential for travel. Another more dire reason a VPN is great for travel is that they can often subvert government censorship for roughly the same reasons as those stated in the above paragraph. This allows a lot of working individuals the freedom they need to get their jobs done, and also it allows them to keep in contact with people via social media platforms that are normally blocked in that particular country. Other people have used them to take advantage of regional discounts on airline tickets, take advantage of other regional sales, and other financial benefits. Any clever person can probably find new ways to make the most of a VPN. Virtual Private Networks have different uses and therefore that means that they can have different focuses on who they tailor their product for. This means that there are different protocols and options available, far too many to go over all at once. However, if you are a personal user a “PP2P” VPN might be the best option for you, as they often are the easiest to use and don’t require much if any additional software or hardware. L2TP on the other hand is generally regarded as a much more secure option, so something along those lines might be a better option for you. Others might instead be a combination of different protocols and carry the advantages of different sorts of services. Also, if you look around you might hear the words “business VPN” thrown around a lot, but there is a great likelihood that isn’t for you. A VPN was originally a technology developed for business use and that would mean a large setup for something you have no real use for. It is something your company’s IT department would talk about, if anything. If you are unsure what VPN would be the right one for you, I would suggest combing through the reviews on this website in order to find the right fit for you. Thank you for reading, and I hope you’ve learned a little bit about a service that you might want to use to secure yourself and your data from the unknown. If you find this post useful then please like and share it with your friends on social media. Comment your views on this topic below.